Thymectomy is a widely accepted treatment for most cases of myasthenia gravis and essential for the treatment of thymoma. The development of a minimally invasive procedure for thymectomy resulted in a variety of approaches for surgery on the thymic gland. The use of thoracoscopy-based techniques has continued to increase, including the latest advance in this field, robotic thymectomy. We review the rapid development and actual use of this approach by examining published reports, worldwide registries, and personal communications and by analyzing our database, which is the largest single-center experience and contains 317 thymectomies until 12/2012. The technical modifications of robotic thymectomy are also described. Since 2001, approximately 3,500 robotic thymectomies have been registered worldwide. 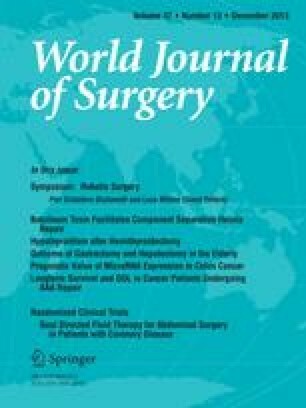 Meanwhile, the results of approximately 500 thymectomy cases have been published. Robotic thymectomy is performed most frequently through a standardized unilateral three-trocar approach. All reports describe promising and satisfactory results for myasthenia gravis. For early-stage thymoma, robotic thymectomy is a technically sound and safe procedure with a very low complication rate and short hospital stay. Oncological outcome without recurrences is promising, but a longer follow-up is needed. The unilateral robotic technique can be considered an adequate approach for thymectomy, even with demanding anatomical configurations. Robotic thymectomy has spread worldwide over the last decade because of the promising results in myasthenia gravis and thymoma patients.